Calling all soccer moms (and dads). Yeah, you with the minivan full of gear driving across town from game to game, sitting in the hot sun for hours, returning home exhausted only to have your kid bouncing off the wall from all the sugary snacks they got after the game. I know you know what I’m talking about. I’m out to change all that. 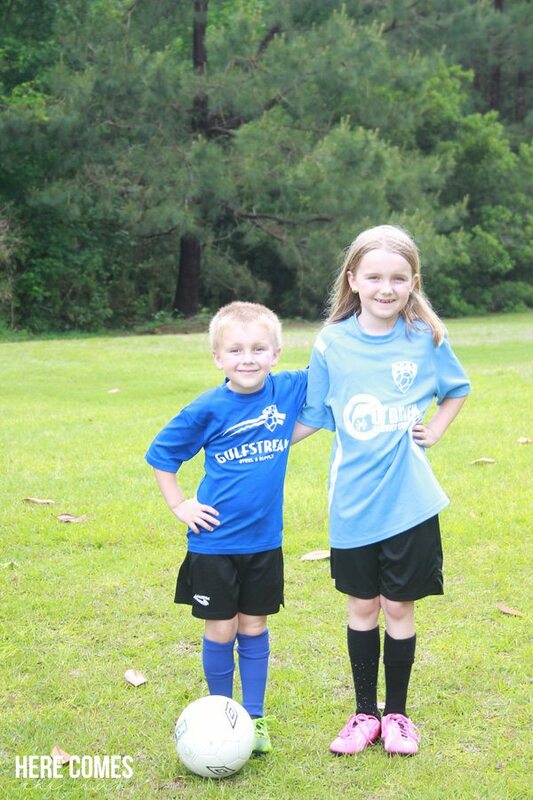 My kids have both played soccer since a very young age. My daughter was 4 when she started and my son was 3. They are now 8 and 5 and have grown to love the game. 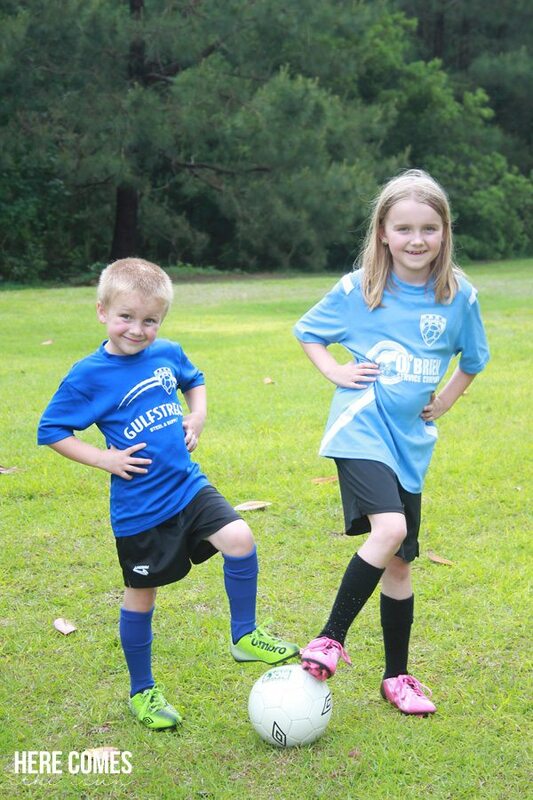 I love having them involved in soccer because the game is constant exercise. Running, passing, dribble, shooting, SCORING! I’m a true believer in the phrase “put good in, get good out” which is why I opt for healthier Sideline Soccer Snacks such as fruits during and after the game. Our soccer season is coming to an end so when it was my turn to bring the snacks, I decided to get each kid a little gift that they could use throughout the summer Since we live at the beach, I gave them each a sand castle bucket. 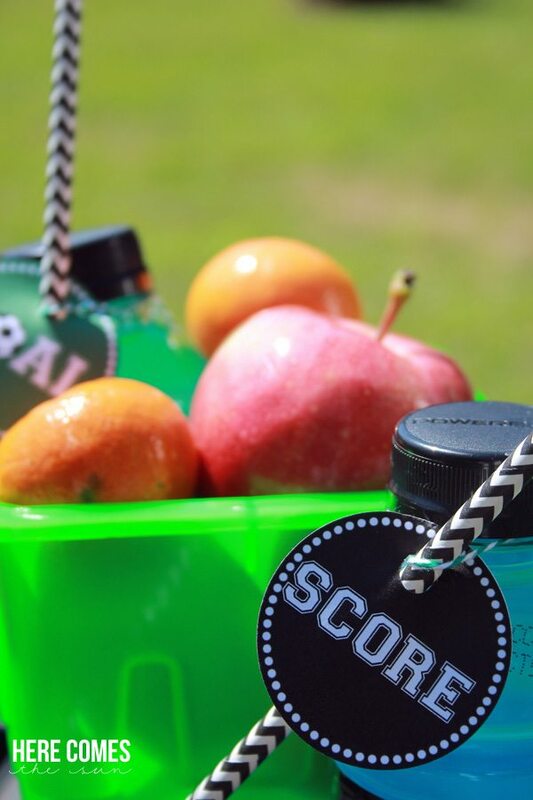 These buckets made great snack containers and I filled the buckets with fresh oranges and apples from WalMart. I also added a POWERADE® with one of my soccer printables and a paper straw. POWERADE® is formulated with Vitamins B3, B6, & B12 to support energy metabolism, and a 6% carbohydrate solution to help provide energy to working muscles. The kids loved their post game snacks and I felt good that I could give them a less sugary option. 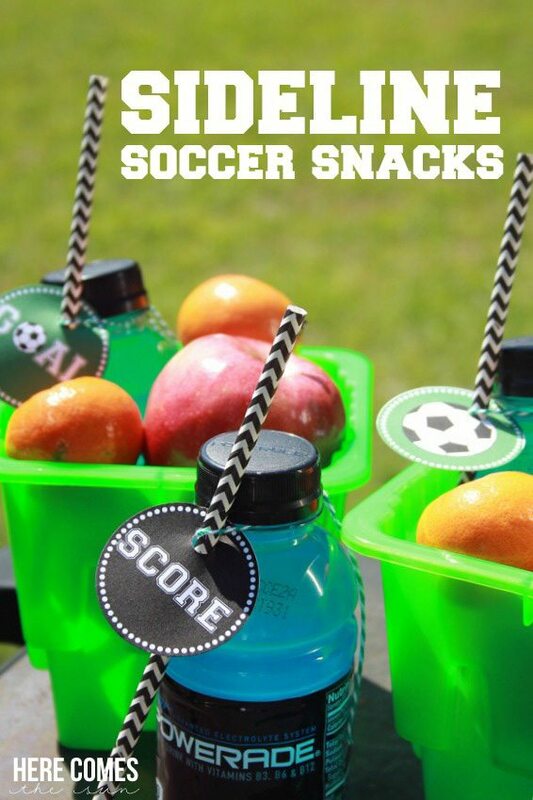 The printables are part of my soccer birthday set but you’re in luck because today I’m offering them to you for free so you can put together your own Sideline Soccer Snacks! Download the soccer printables here. 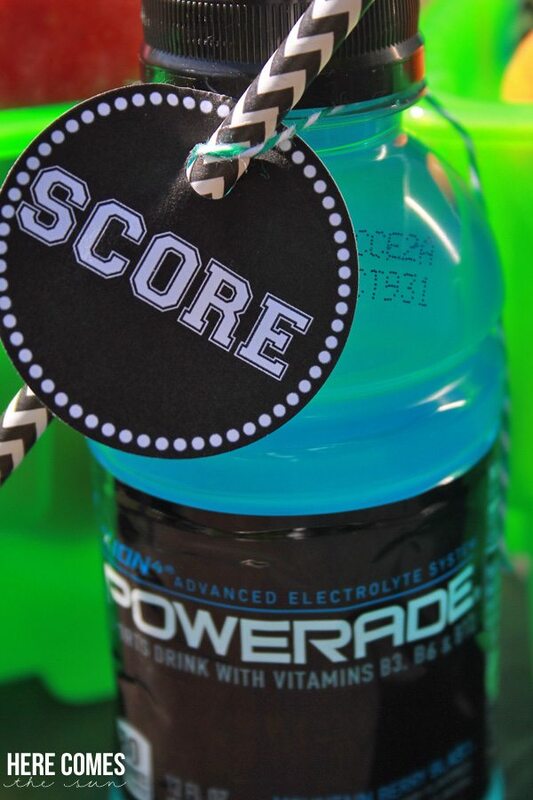 POWERADE® believes that we all have the ability to power through and reach our athletic potential. POWERADE® is teaming up with the Boys and Girls Club, providing the belief, emotional and physical support, and hydration young athletes need to perform. 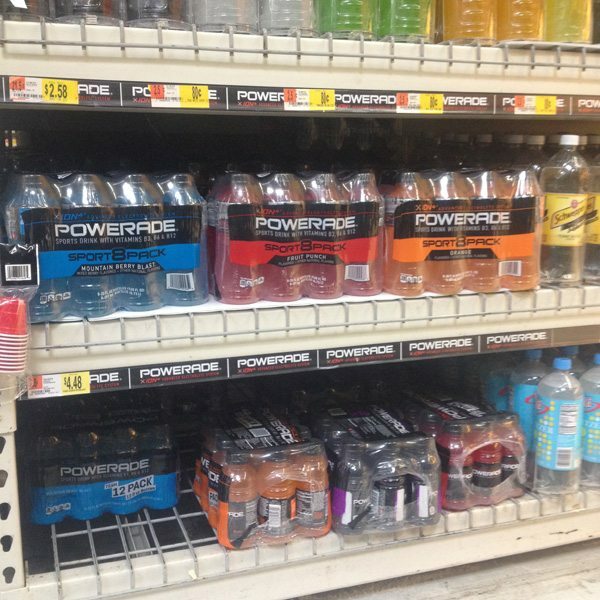 Look for a coupon on the 12-pack 12 oz POWERADE® packages and you can get $1 off Walmart fresh produce when you buy two 12-pack 12 oz POWERADE®. Hurry this deal is only available while supplies lasts! Are you a soccer mom (or dad)? What kinds of snacks does your team usually eat? 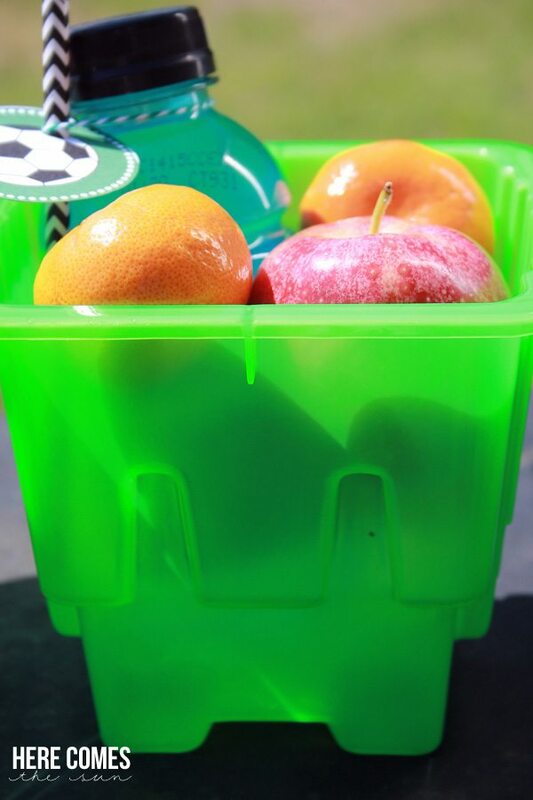 I played soccer when I was little – such a cute snack! Love it! Thanks, Amy! The team really loved it.